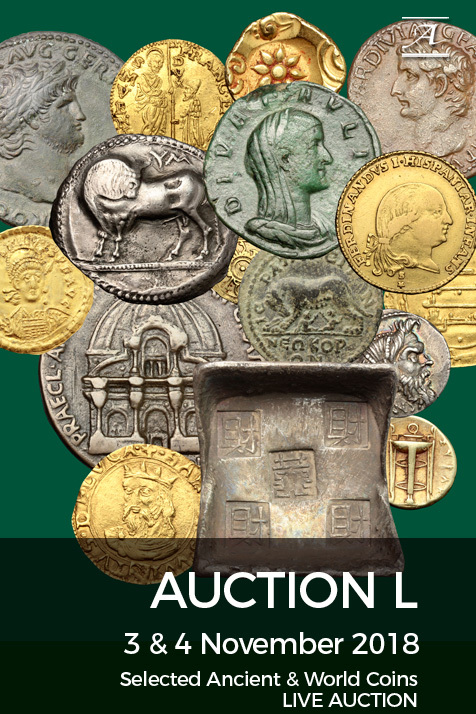 Coins 227 L. Rubrius Dossenus. 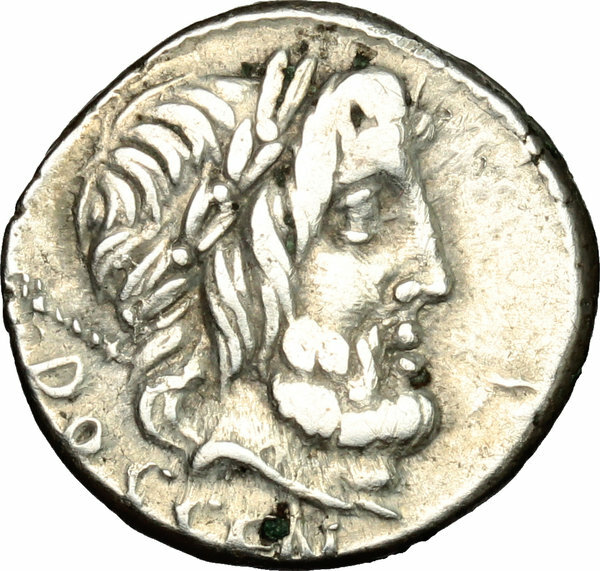 AR Denarius, 87 BC. D/ DOSSEN. Laureate head of Jupiter right, sceptre over shoulder. 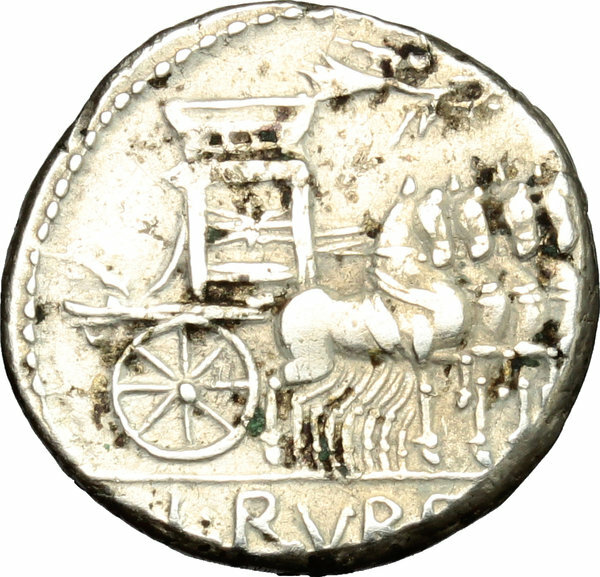 R/ Triumphal quadriga right decorated with thunderbolt, Victory above; in exergue, RVBRI. Cr. 348/1. B.1. AR. g. 4.13 mm. 18.00 Overweight. Broad flan for issue, nice and lightly toned. VF.